The apartment is completely renovated and newly furnished. The quiet Non smoking apartment is equipped with laminate flooring and has a large window - so it is nice and bright. The fitted kitchen is equipped with the necessary electrical appliances. For the double bed, a cot can be set up. 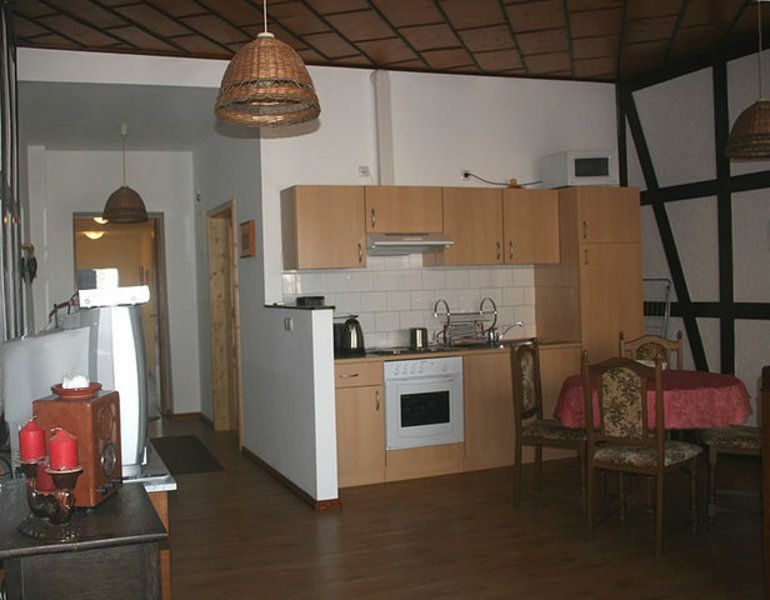 The apartment is located in the immediate vicinity of the Havel and the restaurant "ferry". The apartment is very quiet. The property was completely renovated in 2010. Die Unterkunft war sehr im guten Zustand.Alles was mann braucht war vorhanden. Burgwall, directly beside one Havelwindung, belongs to the municipality Zehdenick. In the neighboring village Mildenberg is a Ziegeleipark whose brick railway runs for tourists by Burgwall. Moreover Burgwall is a large nature reserve Tonstichlandschaft. With its proximity to Berlin, the Schorfheide and travel Region "Ruppiner Land" Burgwall is the ideal starting point for a trip to the capital, as well as activities in our watery landscape.